Romantic revolutions : criticism and theory by Kenneth R. Johnston ... [et al.]. 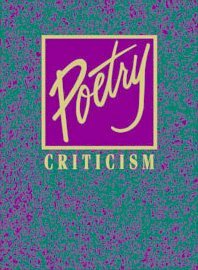 Poetry criticism : excerpts from criticism of the works of the most significant and widely studied poets of world literature. by Gale Research Inc.